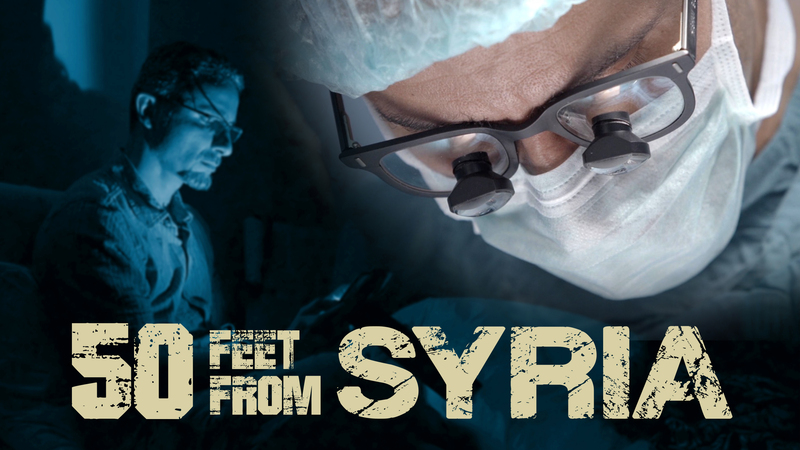 50 Feet From Syria is a documentary by Skye Fitzgerald, Spin Film about Syrian-American surgeon Hisham Bismar, who travels to a Turkish hospital on the Syrian border to volunteer. What he finds is horror, chaos, and an ocean of refugees in need of medical care - colleagues who perform operations without anesthesia, stories of Syrian government snipers targeting pregnant women and children, and images of 55-gallon barrels filled with shrapnel and TNT deliberately dropped on civilians. With dull drill bits and ill-fitting bone and joint implants, Bismar repairs the bodies of the wounded fortunate enough to find their way to the hospital. The film serves as a snapshot of the current plight of Syrian refugees, and indelibly communicates the human cost of one of most brutal, dehumanizing conflicts in modern history that continues to destroy and displace millions of lives. After the screening, Dr. Bismar shares his experiences performing orthopedic surgeries for wounded Syrians. Then Lloyd Baroody, joined by his wife Zeina Mehio, tell their story of helping one large Syrian family, bringing a sense of hope and remarkable positive change to a very desperate situation, and inviting us to be more engaged in the humanitarian situation in Syria. 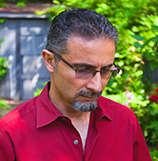 Dr. Hisham Bismar came to the U.S. in 1985 to study engineering, before deciding to switch to medicine. He attended Michigan State University and studied in orthopedic surgery, specializing in hand and upper extremities. 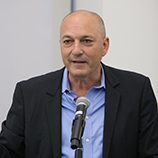 He was a fellow at SUNY and Cleveland Clinic, and then moved to Oregon where he has been working with Kaiser Permanente. He made several humanitarian trips to Turkey and Jordan with the Syrian American Medical Society (SAMS). Lloyd Baroody is a successful entrepreneur. Living in a small town in Connecticut, he was getting tired of watching the Syrian civil war play out on TV. He was particularly upset about all of the children either getting killed or becoming refugees in countries that didn’t want them. Along with a group of concerned residents of his town, he is sponsoring a Syrian refugee family of nine.